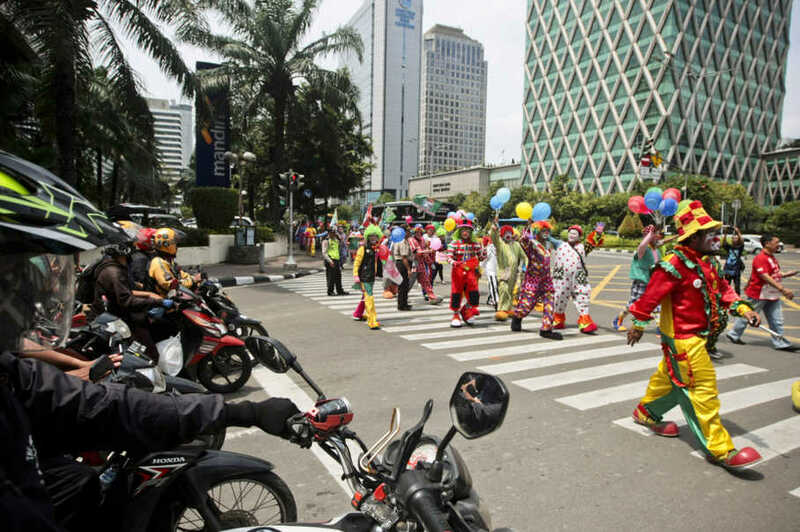 That Indonesia even has a national clown’s association (and one that has almost as many members as the House of Representatives). In the best Shakespearian tradition, the court jesters once again speak truth to power. Keep calm, Indonesia. But not too calm. 4 Comments on "Clowns demand more of Indonesia’s political circus"
Reminds me of why I love Indonesia…. This made me laugh! Especially the plea not to equate real clowns with the clowns in the Hose of Representatives! Such a delightful story – so true. So much to love about Indonesia. I also want to say how much I am enjoying your book Indonesia, Etc. There should be an official Semar clown to brighten up (and maybe enlighten) the parliamentary sessions.